Depending on your needs and situation, you might need to increase or decrease your email quota. Increasing your email quota will allow user to store more emails before he is forced to delete the mails or empty the trash folder. 2. Click on “Email Accounts” under “Mail”. 3. 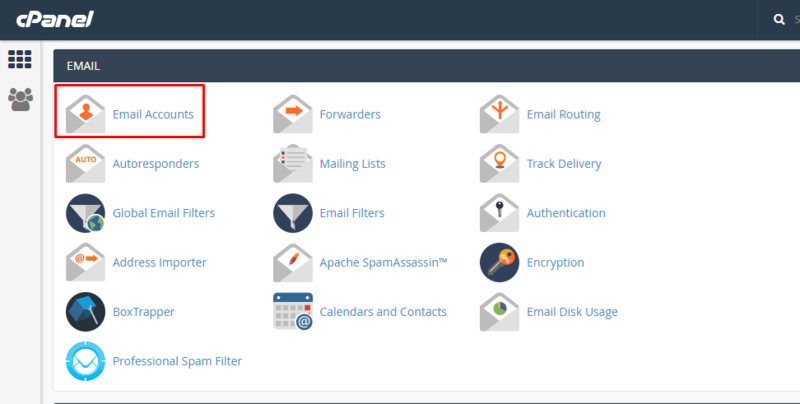 You will see a list of existing mail accounts in the cPanel. 4. Click on “Change Quota” on the account that you want to make changes to. 5. You may insert the new quota in the blank field by choosing the value from the drop down menu. You can choose “unlimited” but it is not advisable to do so. Click on “Change Quota” once you have keyed in the new email quota to save and apply changes. 6. A success message will be displayed if there is no error in your earlier steps.